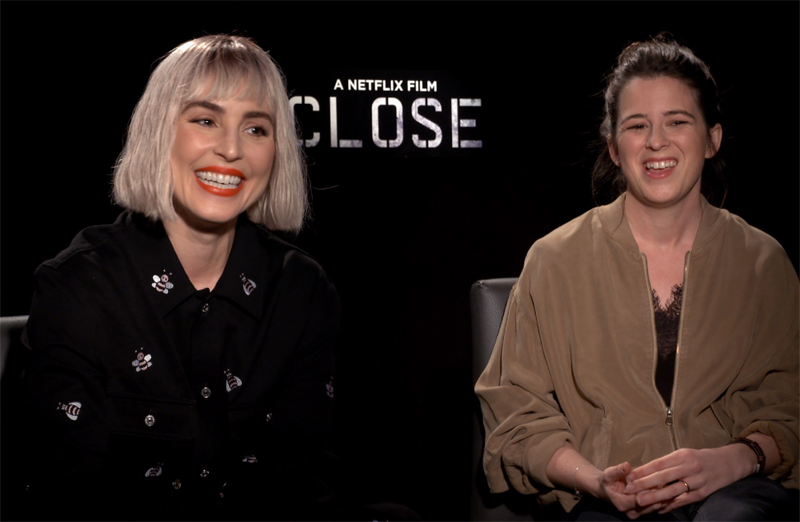 Netflix provided ComingSoon.net the opportunity to chat with star Noomi Rapace and director Vicky Jewson about the action film Close. Check out the interview in our player below! The film stars Noomi Rapace (Alien Covenant, Bright) as Sam, a counter-terrorist expert used to war zones, who takes on the job of protecting Zoe, played by Sophie Nélisse (The Book Thief), a young and rich heiress who’s instructed to take a more active role in her late father’s company. While Sam sees as nothing more than glorified babysitting, after a violent attempt at kidnapping, the two are forced to go on the run. Now they’ve got to take some lives — or lose theirs. Rapace will also be starring in the upcoming Angel of Mine, from director Kim Farrant. The project is based on the 2008 French film, L’Empreinte de L’Ange. The adrenaline-pumping action thriller Close is written and directed by Vicky Jewson (Born of War, Lady Godiva), and took its inspiration from the life of the world’s leading female bodyguard, Jacquie Davis. Close is now available to stream on Netflix!